On behalf of The Education Trust, an organization dedicated to closing long-standing gaps in opportunity and achievement separating low-income students and students of color from their peers, we write to express appreciation to the Committee for rejecting the Trump administration’s Department of Education budget request for the FY19 Labor, Health and Human Services, Education and Related Agencies Appropriations bill. It is unfortunate that the House Labor-H Subcommittee’s allocation for FY19 was the same as FY18, despite additional funding for non-defense discretionary bills under the two year budget agreement. Given the size and importance of the Labor-H bill, it deserves a proportional increase. We hope you will advocate for a more favorable allocation as this process continues. We applaud your decision to protect the Pell Grant and ask that you continue to keep Pell dollars in the Pell program by rejecting any potential rescission to the grant’s temporary reserves. As you know, the temporary reserves exist because of changing economic trends and recent cuts in eligibility. 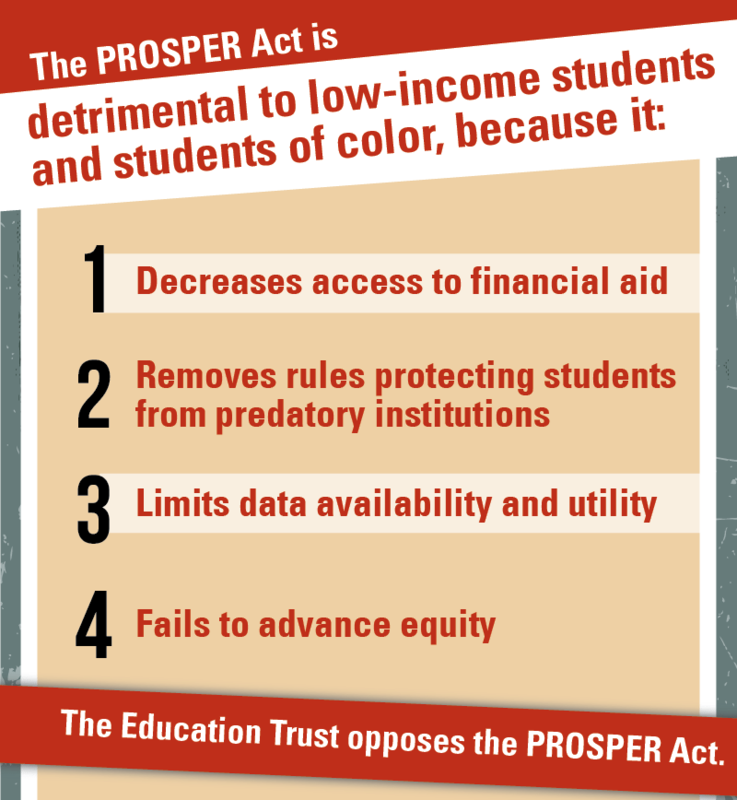 These funds are a critical a tool for protecting access to higher education for low-income students and students of color. Raiding the reserves will only hasten the time when there is a deficit in the program and students are again vulnerable to cuts. We are also very pleased to see the Committee maintain support for Title II, Part A. The bipartisan Every Student Succeeds Act (ESSA) revised Title II to direct funds toward more evidence-based uses and demonstrated Congress’ belief in the importance of teachers and school leaders. These funds are vital in every state, where schools and districts use these dollars to recruit, train, support, and retain teachers and school leaders. The bill does not increase the maximum award for Pell Grants, which means that students will have fewer dollars to cover ever-growing costs of college. As you know, the Pell Grant is already at its lowest purchasing power in 40 years, and without increases to the maximum award, that purchasing power will decrease even further. We encourage you to increase the maximum award to $6,230 and to work with your authorizing colleagues to advocate for reinstating Pell’s mandatory adjustment for inflation. We urge Congress to restore funding at its FY17 level — $14.5M — to the School Leader Recruitment and Support Program, a small but worthwhile program that promotes evidence-based, locally driven strategies that improve access to a pipeline of effective principals and school leaders in high-need schools. We look forward to working with you and your counterparts in the Senate as the FY19 appropriations process moves forward. February 23, 2018 by Ed Trust and John B. King Jr.
February 15, 2018 by John B. King Jr.